Choosing a car to tow with is a tricky business. If you want a car for long journeys, you’ll be able to test drive it on the motorway. And if you’re looking for a practical set of wheels for the school run, you can put the dealer demonstrator through its paces around town. But if you turn up at a showroom for a test drive expecting to hitch up a caravan or trailer, you won’t get very far. That’s why the Tow Car Awards have become so important to tow car buyers. Caravanners and horsebox owners may not be able to tow with a car before they commit to buying it, but they can find out how well it tows by reading this annual feature. What Car? has been teaming up with Practical Caravan and The Camping and Caravanning Club to test tow cars since 2007, and there are now more than 500 reviews online at the towcarawards.com. Every car goes through the same tough test regime. Each is matched to a Swift Group caravan (or a small trailer in the case of the lightest cars). 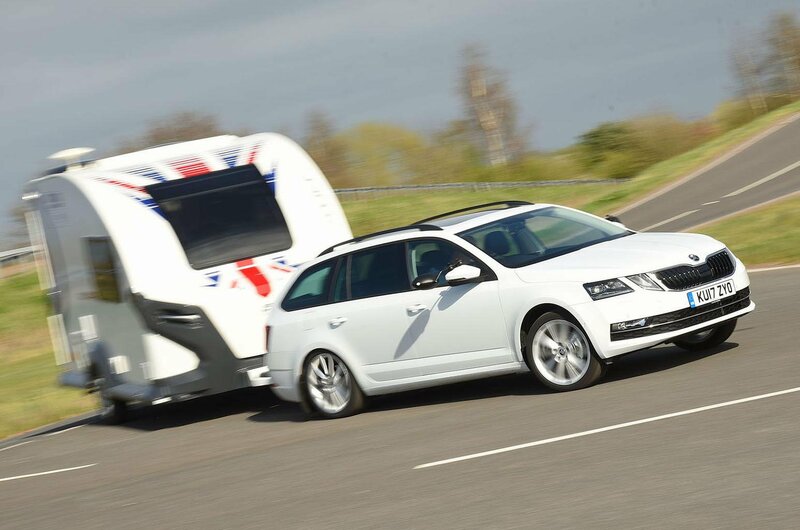 The caravan is weighted to 85% of the car’s kerb weight or the legal towing limit – whichever is lower. Car and caravan then head on to the test track to be assessed for stability at speed and in an emergency lane change. Data from the caravan’s Al-Ko automatic trailer control (ATC) system – essentially stability control for caravans – is recorded to complement the views of the test drivers. Plus, acceleration and braking are tested, and every car tackles a hill-start test on a one-in-six-slope. 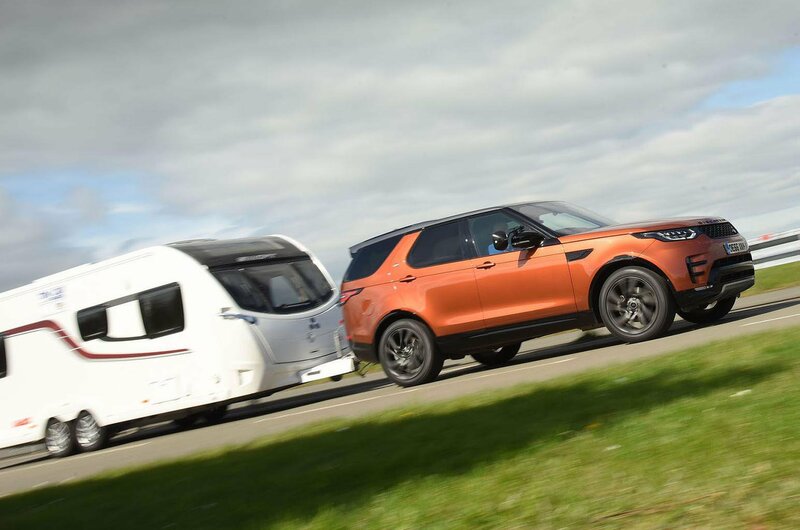 As well as the tests on the track, experts from The Camping and Caravanning Club examine each car in detail, looking for practical features that make towing safer, easier and more enjoyable. Unless you have the luxury of owning a car purely for towing, chances are it’s going to be your daily drive, too. So our testers also rate each model for everyday use, scoring for safety, reliability, standard equipment and value for money. The cars are sorted into five weight classes, so it’s easy to find models that are suitable for towing your caravan or trailer. 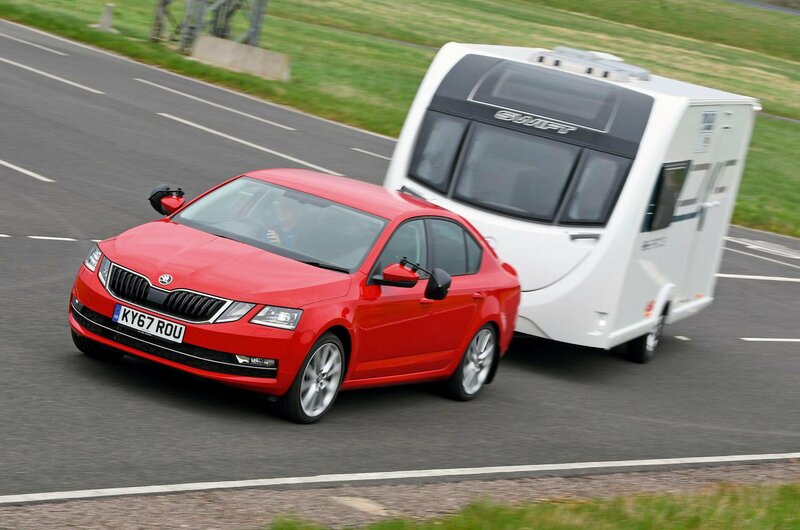 Last year's class winner takes the top spot once again; the Octavia really is an extremely capable small tow car. Its 2.0-litre diesel engine is familiar from many Volkswagen Group models, and it’s predictably capable when towing. It produces lots of mid-range torque, which is just what you need to pull a caravan or trailer up to speed. The Octavia is stable when towing, too, with very little movement at 60mph. In the emergency lane change, the caravan slid around during the fastest of three attempts at the manoeuvre, but the Octavia wasn’t dragged off course and pulled the caravan straight again. Small cars can struggle with hill starts when towing, but the Octavia’s DSG automatic gearbox saves the driver from having to juggle clutch and accelerator, and the strength of the engine does the rest. 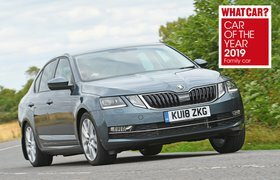 The Octavia is What Car?’s 2018 Family Car of the Year, because it’s good to drive and functional inside, with huge space for people and luggage and a 590-litre boot.